The 20″ Daffodil cone has long been a favorite lamp pattern. 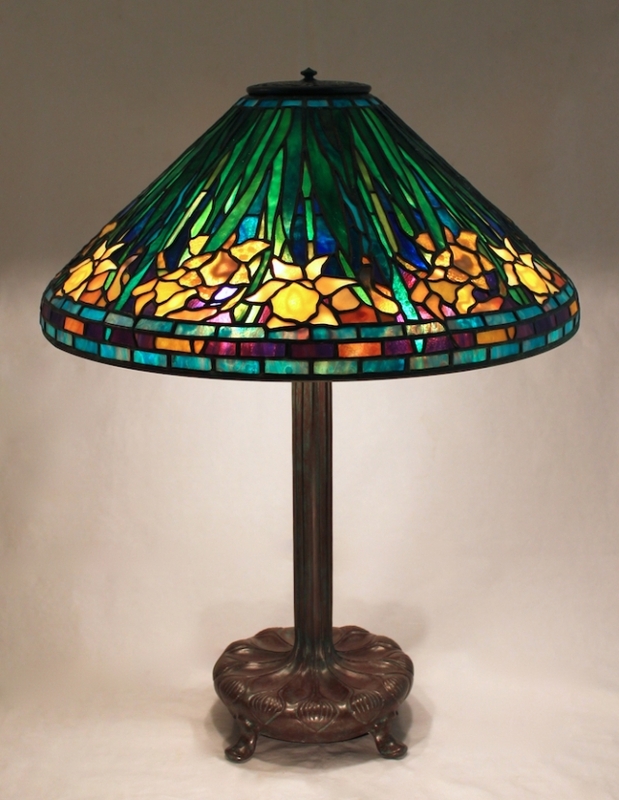 With its inverted flowers, the design has a unique look amongst Tiffany lamp patterns. Commissioned by a client in California, this 20″ Daffodil lamp was created with bold jewel tones and a variety of types of glasses. The shade is shown on the elegant Library Base. he foiled pieces of glass are being transferred onto the waxed lamp form by Irwin. Once the pieces were in place, the shade was ready for soldering and finishing.